When it comes to dessert, these tarty gems will elbow out the others on the tea tray…any day! Yes. I did say fat. But in a kindly, nutritious way! While sugar-laden treats rarely satisfy our cravings and keep us going back to the cookie tin, a fatty delight with just a hint of sweet can be wonderfully satisfying. 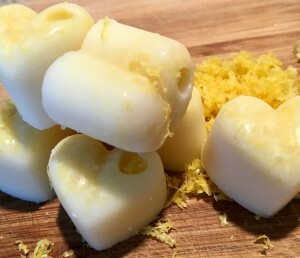 And using a good-for-you fat like organic virgin coconut oil takes these lemon gems to even greater healthy heights. Combine all ingredients, except salt, in small saucepan over low heat. Stir until melted and well-mixed. 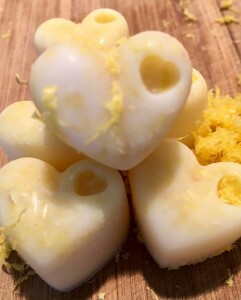 Pour into moulds, and sprinkle with a bit of sea salt. Place in freezer, uncovered, until firm. 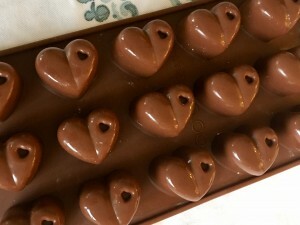 *Sweet caveat: if you wish, you can add a food-type natural sweetener to these wee delicacies. However, as my purist friends would be quick to say – adding sweetness in the form of maple syrup, for example, changes the recipe from a ‘fat bomb’ to a ‘sweet treat.’ Your choice! 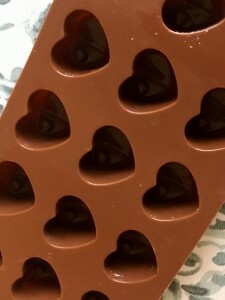 Note: these treats are easily popped out of the moulds by pressing up from the underside.